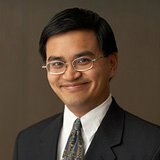 Jim Ko is just such a person and Jim has joined EasyNDA’s advisory board. Jim was Senior Director for Legal at Ubee Interactive after learning the ropes as an associate with Howrey LLP. Jim has already been a big help streamlining our standard non-disclosure agreement (revision published on January 9, 2014: What’s New in EasyNDA’s Non-Disclosure Agreement. This entry was posted in Uncategorized on January 9, 2015 by Crick. Today we published a release that improves the terms of our mutual non-disclosure agreement (MNDA). As a service to our subscribers, we frequently review our standard NDA to ensure we provide a document that should meet the needs of equitable confidentiality agreements. As always, have your attorney review EasyNDA’s MNDA to ensure it’s suitable to your needs. This entry was posted in Uncategorized on January 7, 2015 by Crick. NEW: NDA Search and Pagination now live! Is there a “standard” duration for a non-disclosure agreement (NDA)? Minimize MailChimp embed.js: Size Matters! Conundrum on Is there a “standard” duration for a non-disclosure agreement (NDA)? Crick on Minimize MailChimp embed.js: Size Matters! Oliver Nicholson on Minimize MailChimp embed.js: Size Matters! Crick on Is there a “standard” duration for a non-disclosure agreement (NDA)? Rin on Is there a “standard” duration for a non-disclosure agreement (NDA)? We are business people who have all wrestled with the annoying pain of what should be a simple business task to do and manage: NDAs. Our mission is to make NDA creation and management simple and pain-free. Subscribe to our newsletter and stay up to date with how-to's and EasyNDA news.